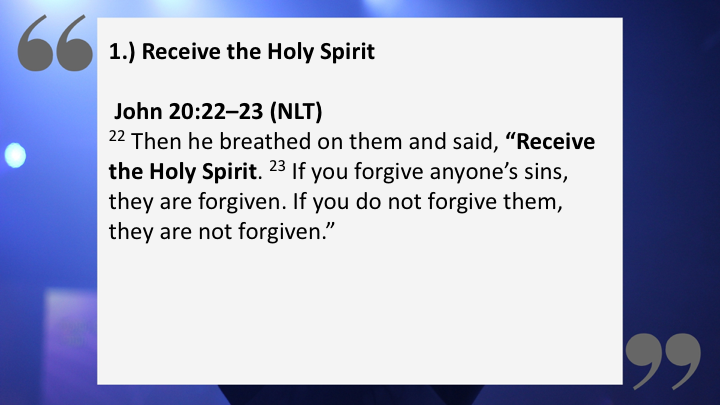 Pastor Jeff talks about how to walk with the Holy Spirit. 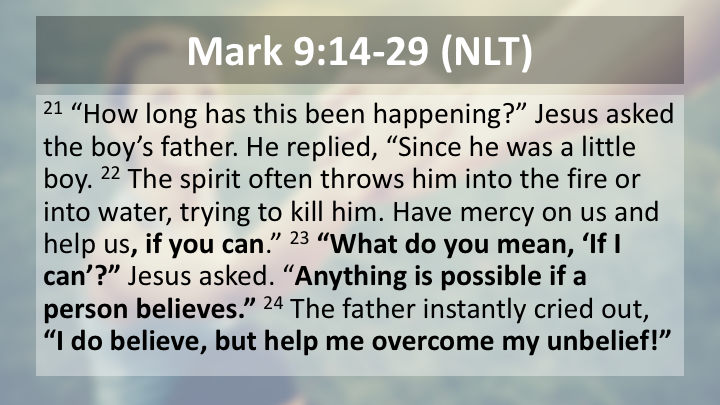 Jesus knew we’d need this gift this power in our lives to become like him. 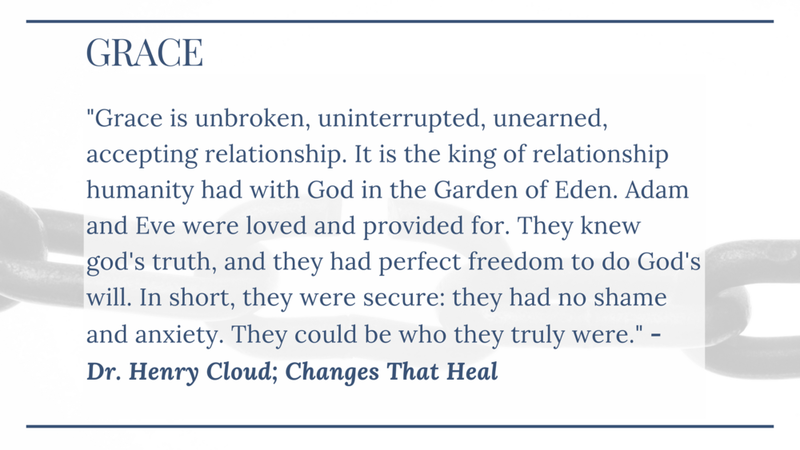 To step out of our dysfunction, our pain, our unforgiveness. 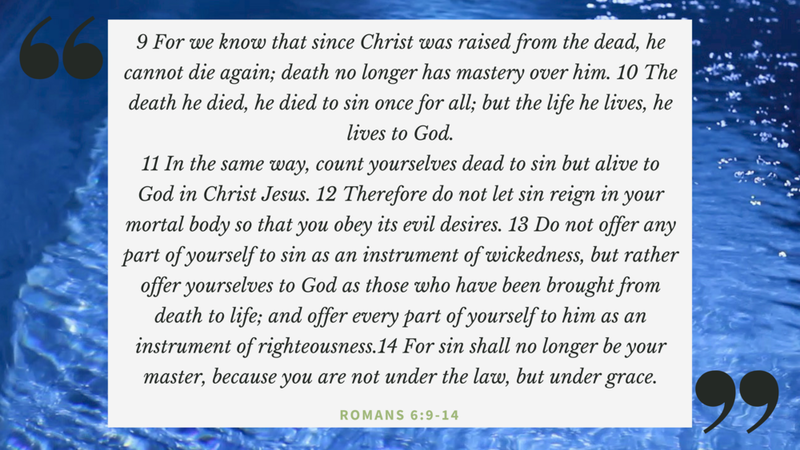 To lay down our addictions, our prejudices. 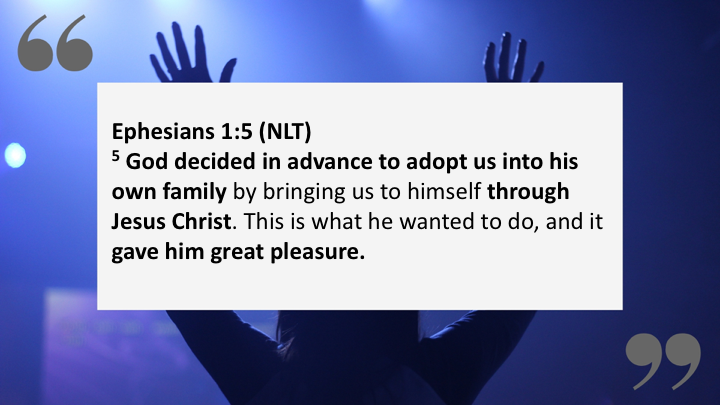 That we’d need this power to step into the full free live he’s always wanted for us. 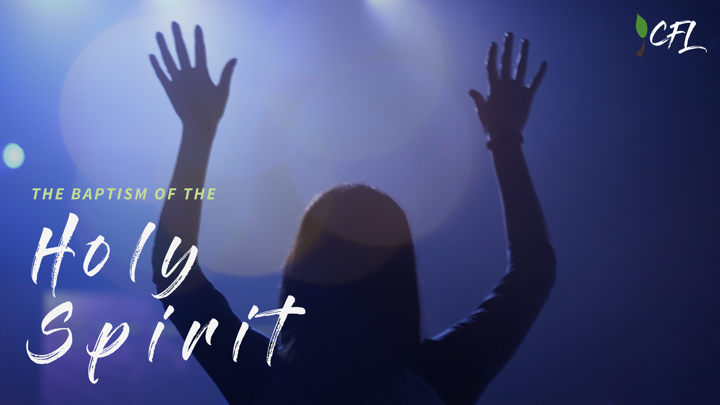 Pastor Jeff talks about how the goodness of God the Father loves to give his children good gifts, namely the Holy Spirit. 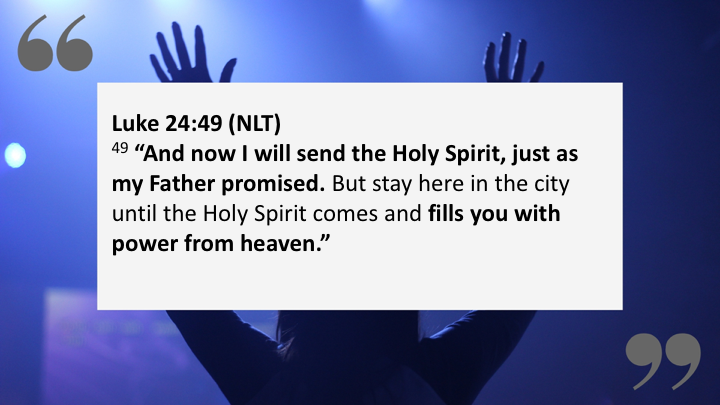 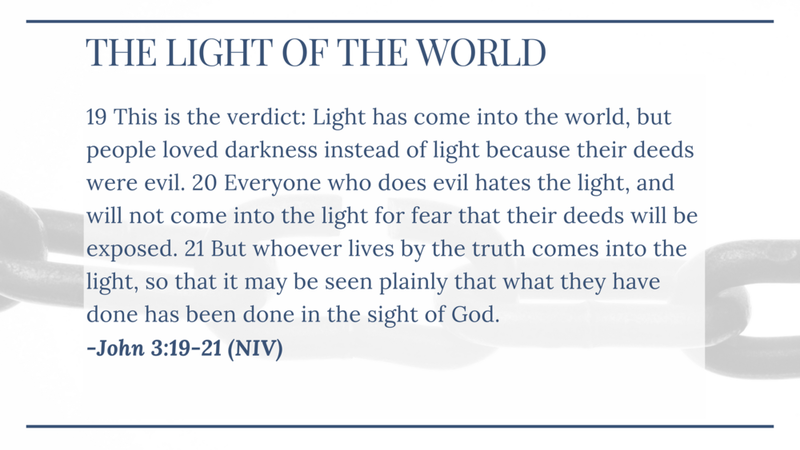 Pastor Chris takes a look through the old and new testament to see what the Bible says about how the Holy Spirit works today. 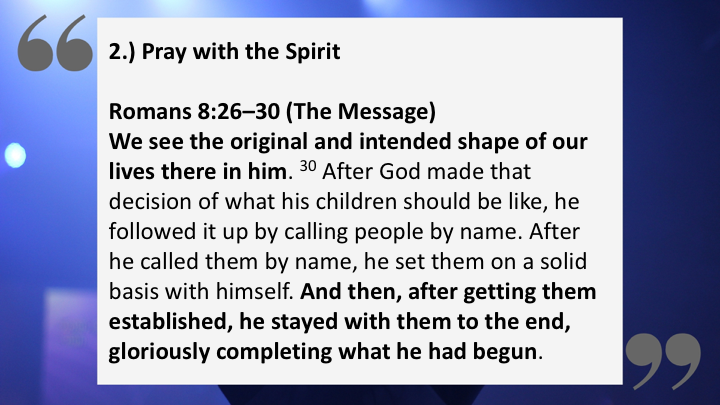 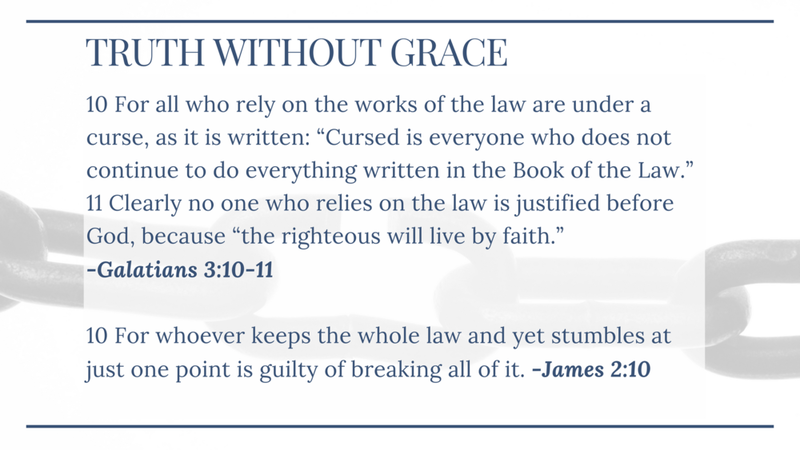 We start with a quick look at how some of the symbols and promises/covenants of the old testament point towards new testament truths and progress to a close look at many of the new testament scriptures that explain the relationship we are to have with the Holy Spirit. 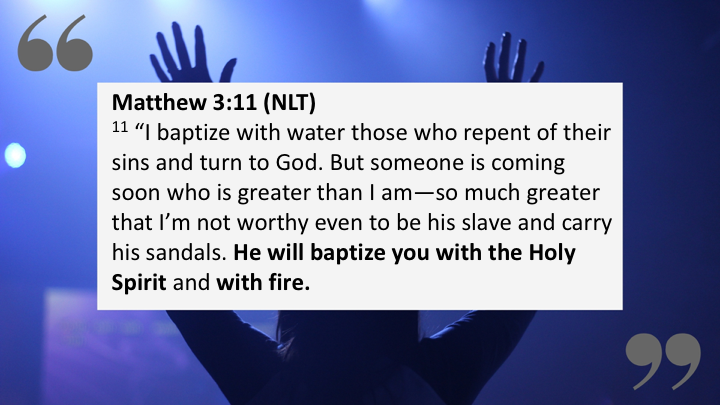 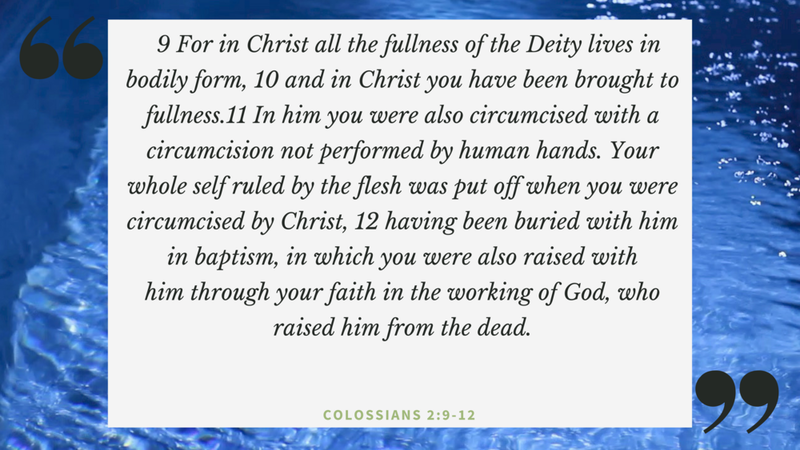 Pastor Chris takes a look through the old and new testament to see what the Bible says about what baptism is and who should be baptized. 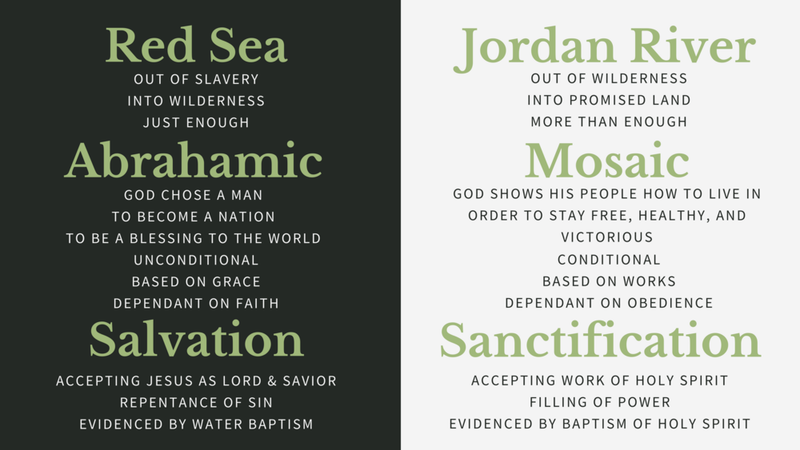 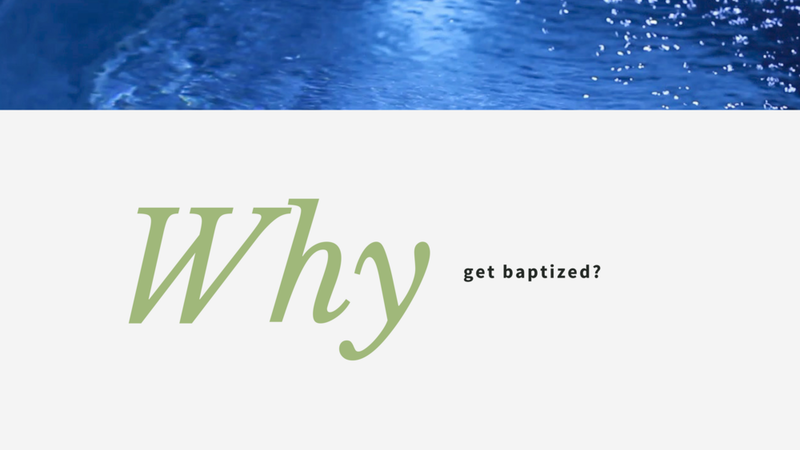 We start with a quick look at how some of the symbols and promises/covenants of the old testament point towards new testament truths and progress through a close look at many of the new testament scriptures that depict and explain what water baptism signifies. 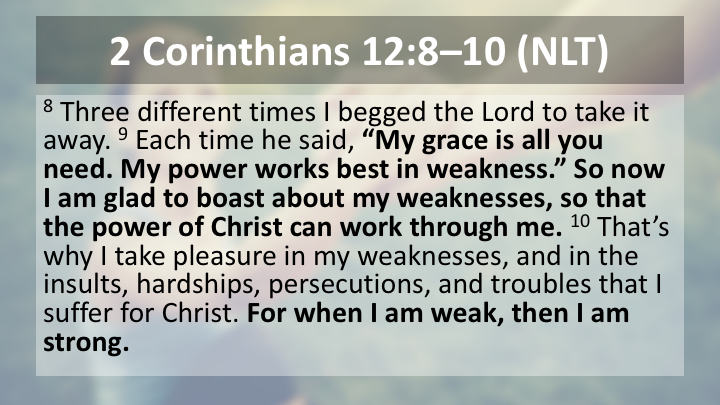 Listen as David Gutierrez tells his testimony of how God has powerfully moved in his life through others. 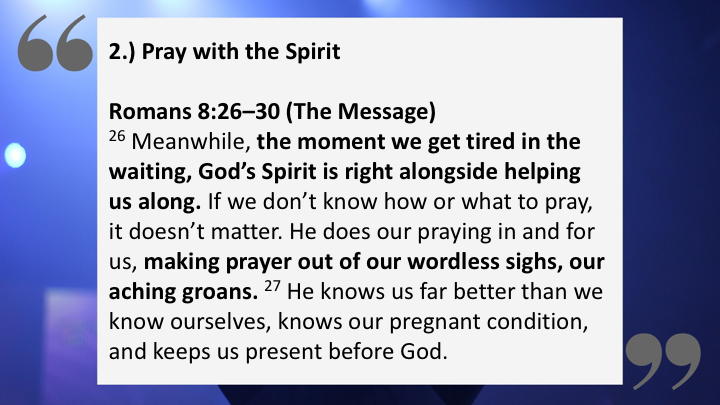 In the last part of the message on prayer Pastor Jeff talks about the road to a mature faith so that we can pray more effectively. 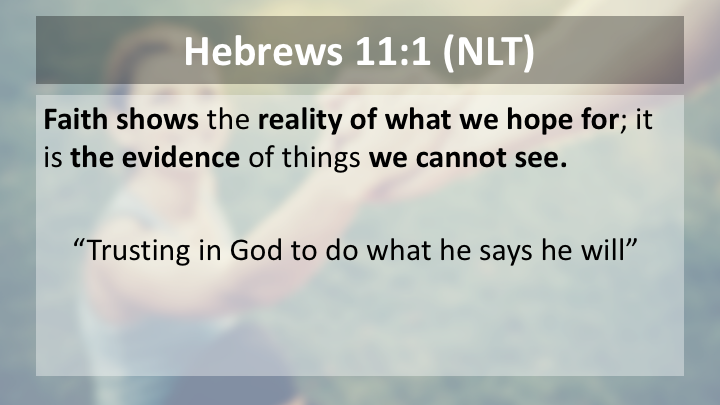 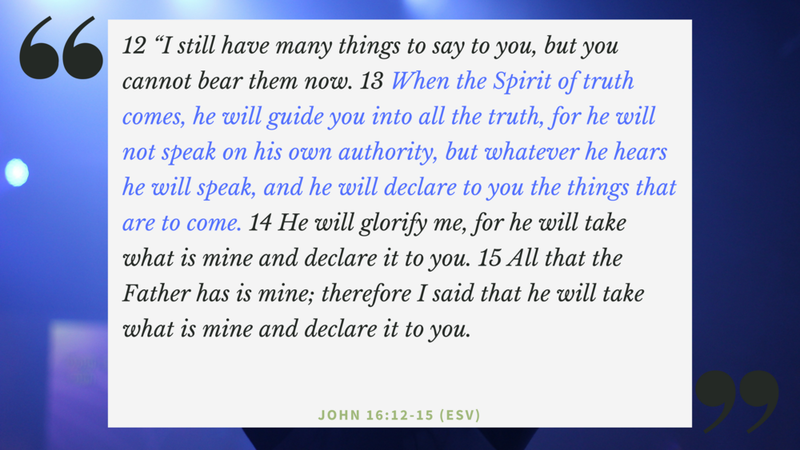 A mature prayer life is focused on listening to the voice of God, stepping out in faith, and trusting God to uphold us. 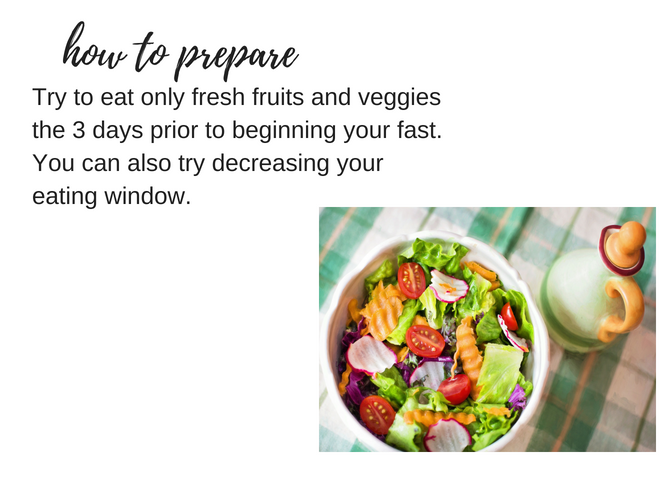 Breaking The Fast And Celebrating Breakthrough! 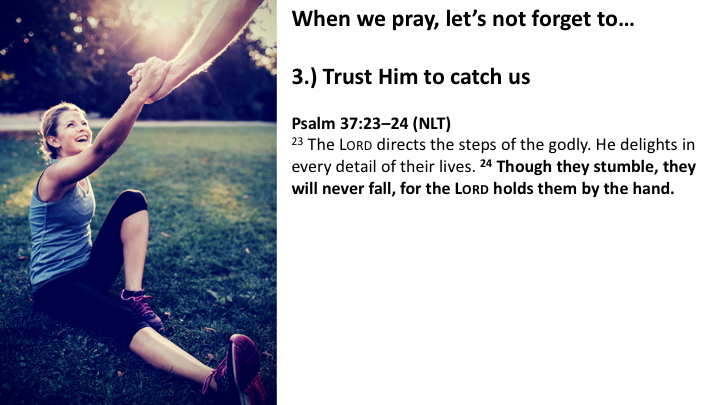 Pastor Jeff delivers part 3 of a message on prayer. 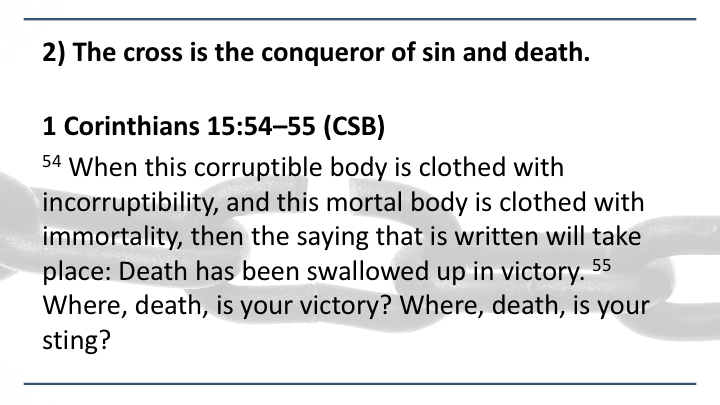 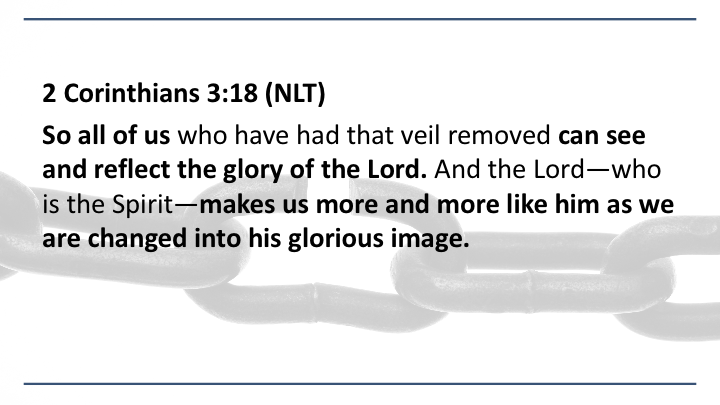 He outlines 3 areas that satan wants us to give up in order to keep us from experiencing the Lord's victory in our lives. 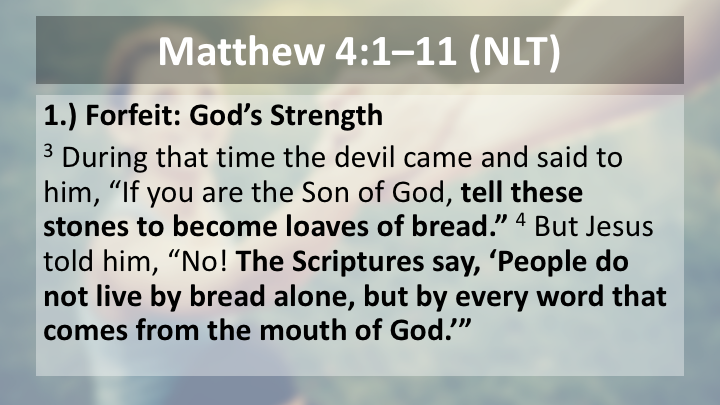 Jeff then introduces the spiritual discipline of fasting as the companion of prayer in order to see breakthrough. 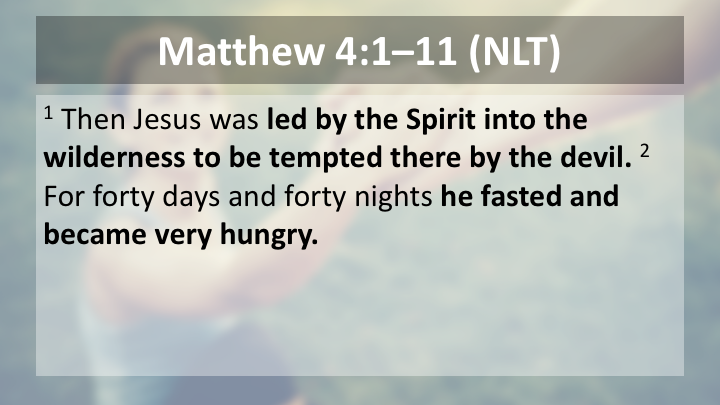 Thank You for joining us as we fast for seven days seeking God's breakthrough in our lives and our church! 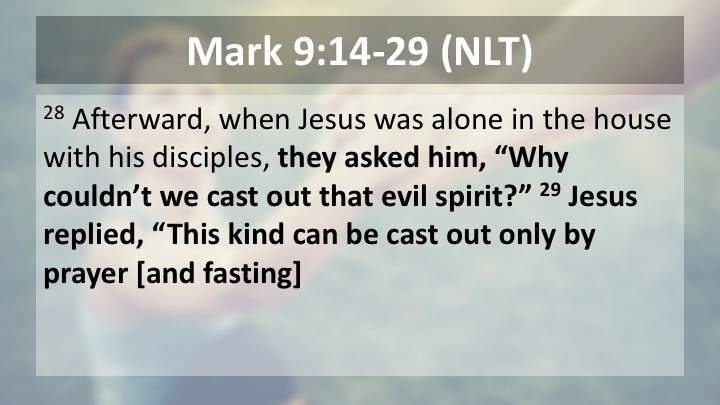 We will break the fast as a church on Tuesday September 18th @ 6:30pm. 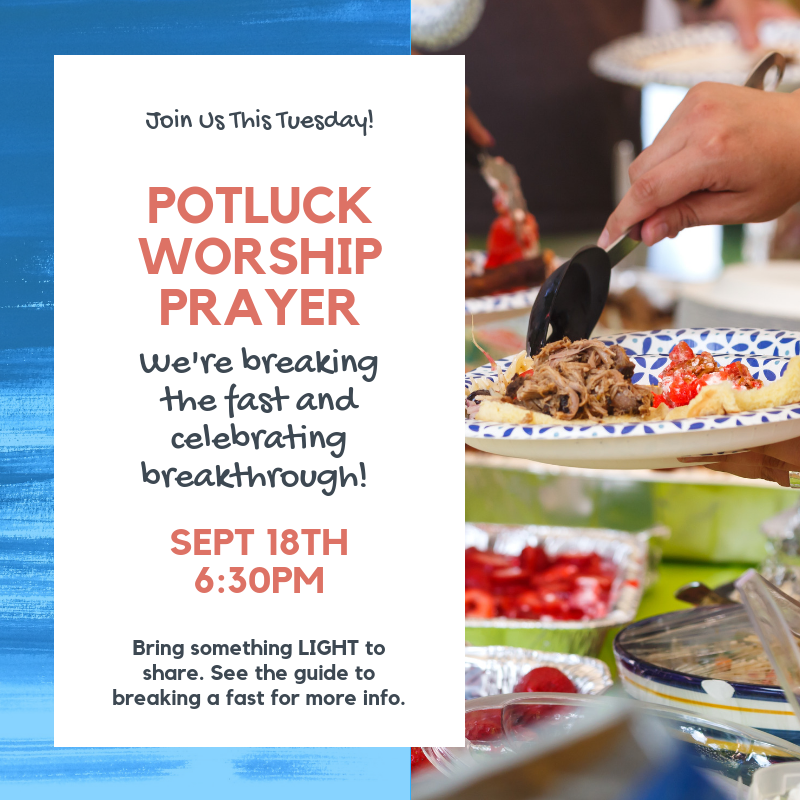 Bring a dish to share and come ready to celebrate what God has done! 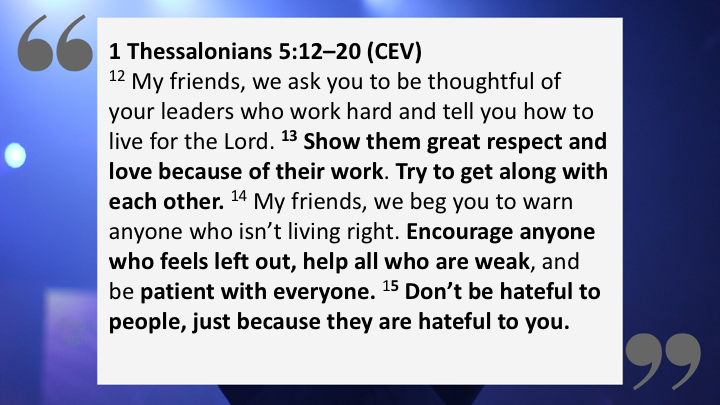 This week Pastor Jeff continues discussing how we are to pray for one another. 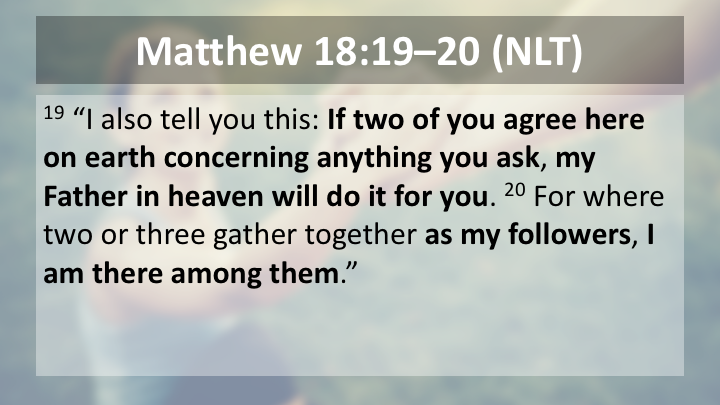 Praying for one another is a powerful way to break isolation, discouragement, shame, and hopelessness. Amanda Stout shares a life-change testimony of how her breakthrough came in prayer. 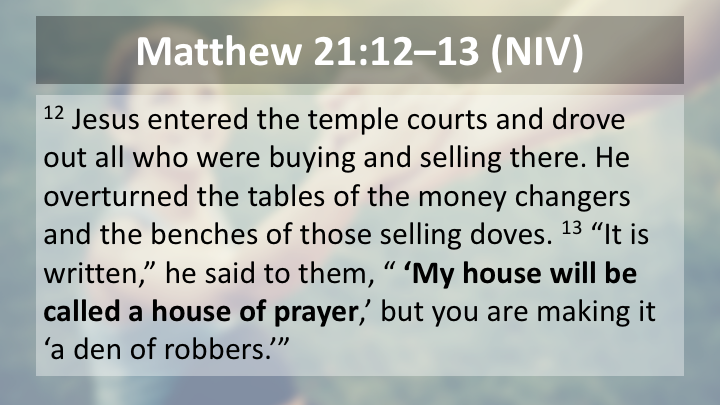 From there Pastor Jeff discusses the barriers in our lives that keep us from experiencing the power of praying for each other in our own lives. 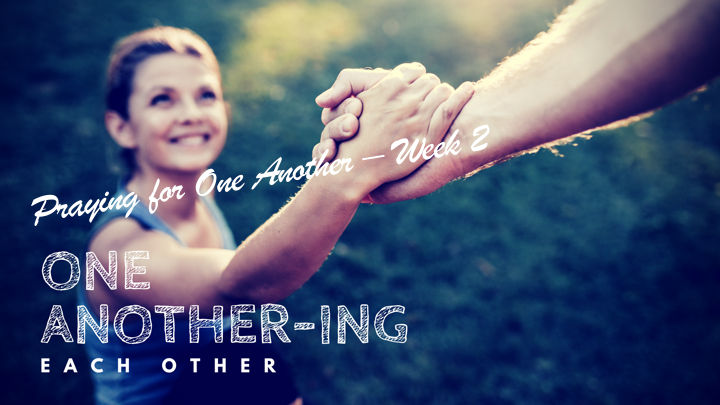 Pastor Jeff starts a new series entitled One Another-ing Each Other based on Jesus' words in John 17:20-23. 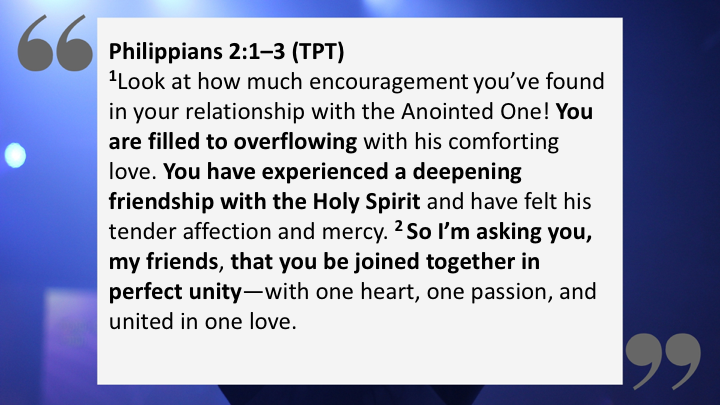 Jesus tells us that God’s heart is that we would really be for one another! 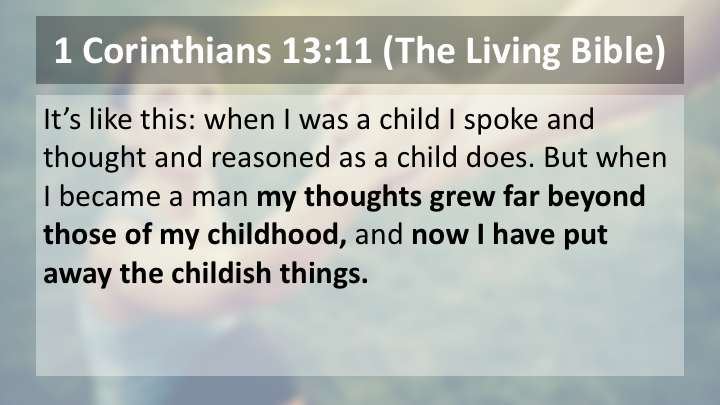 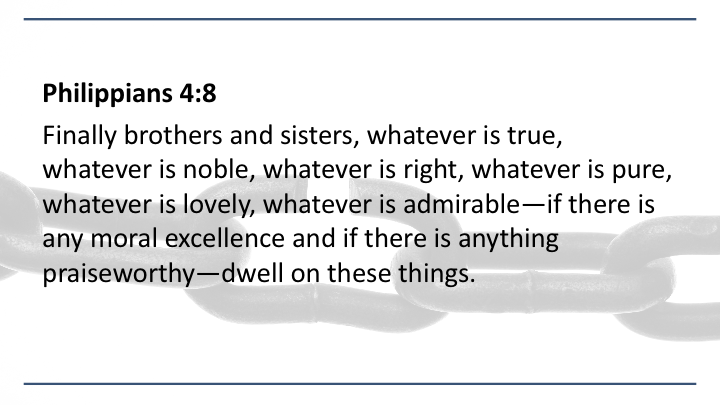 That we’d become “mature in this one-ness” so that we’d experience a HUGE blessing of heaven here on earth and share that love with a lost and hurting world. 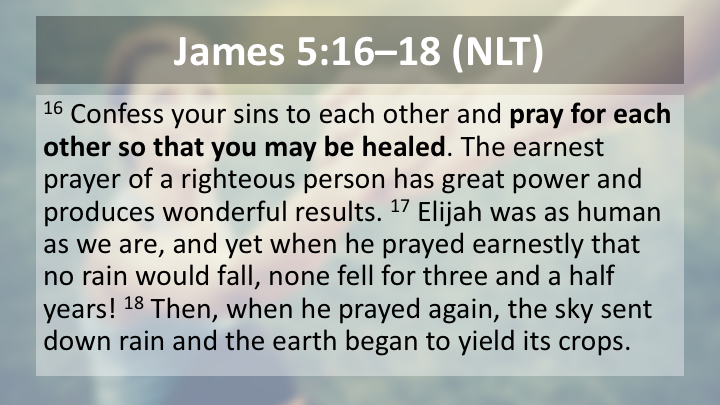 The first part of this series focuses on how praying for one another removes isolation and brings us together. 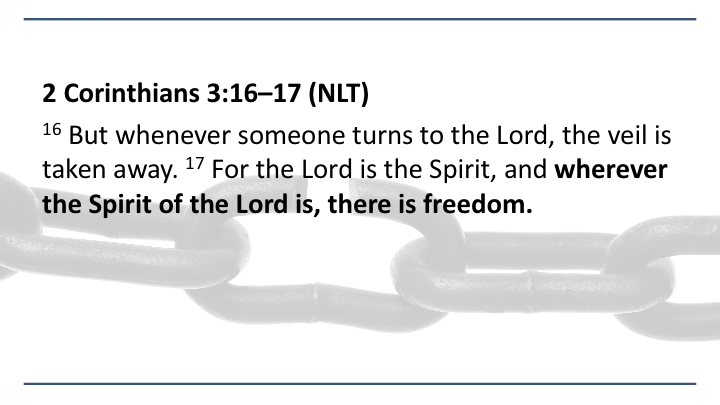 In the powerful conclusion to our Breaking Chains Series, Pastor Cindy talks about how the power of the Cross is the hope for our freedom. 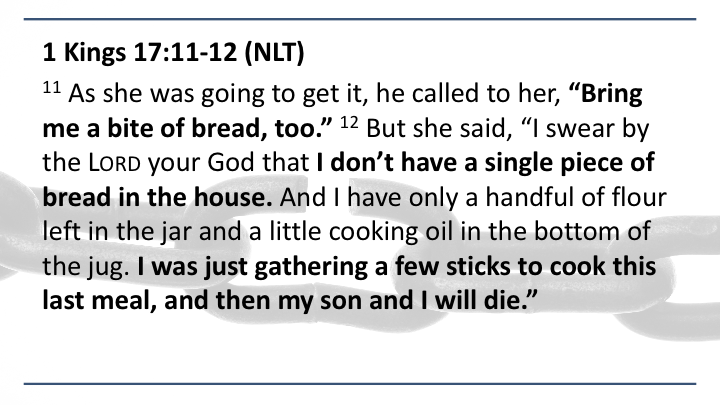 Cindy reminds us the importance of not taking that power for granted. 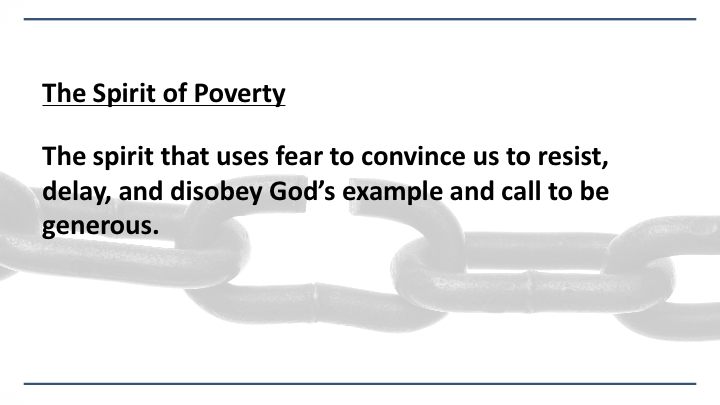 Pastor Jeff delivers part 2 of the message on breaking the spirit of poverty. 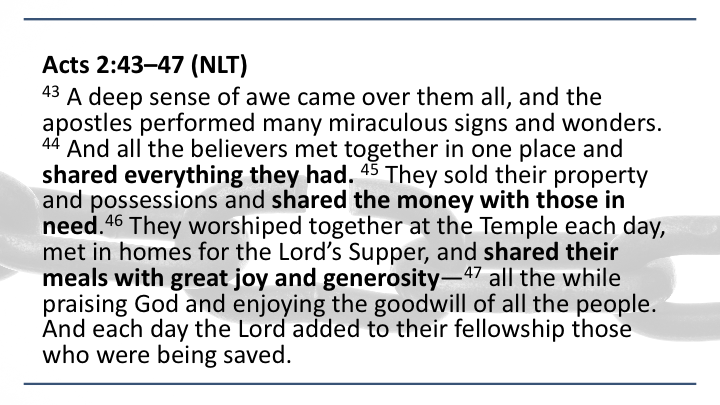 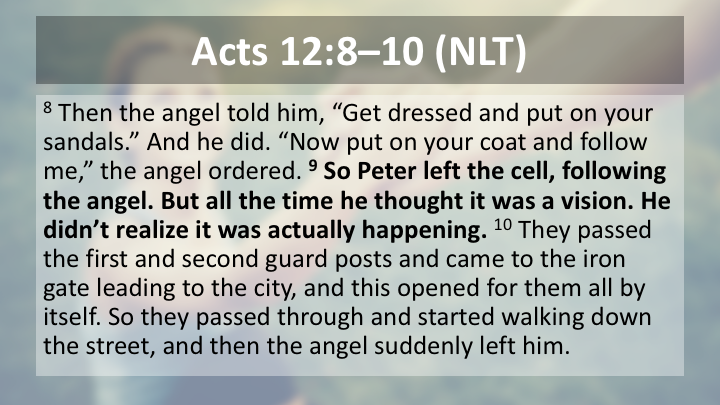 After a quick recap of part 1 he gives an old testament example of God's generosity at work. 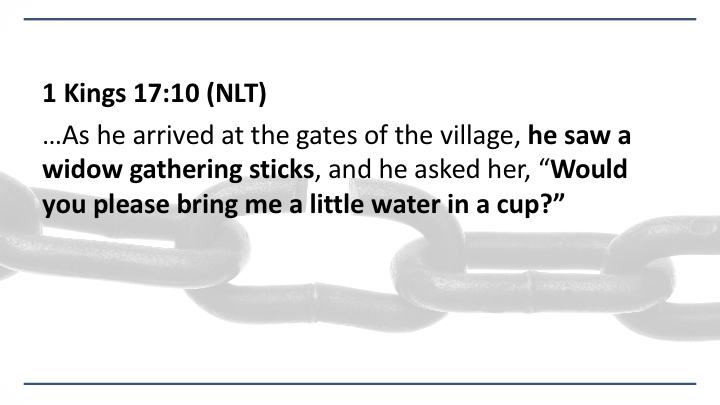 He then shares a personal testimony of how a spirit of generosity has changed his life. 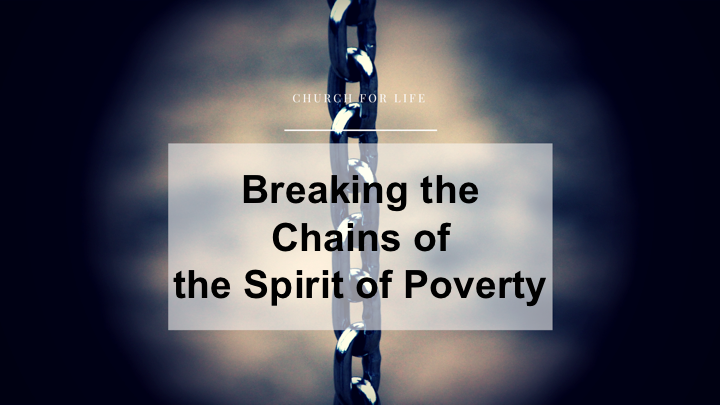 Pastor Jeff continues through the breaking chains series with part 1 of a message on breaking the spirit of poverty over our lives. 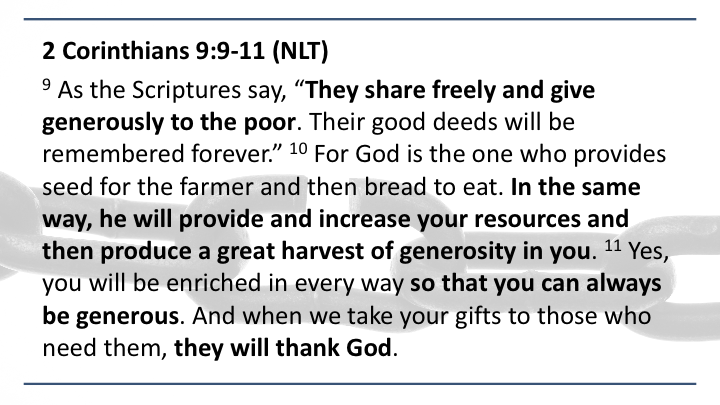 The early church demonstrated God's generosity in powerful ways, but many of us fall short of that example today. 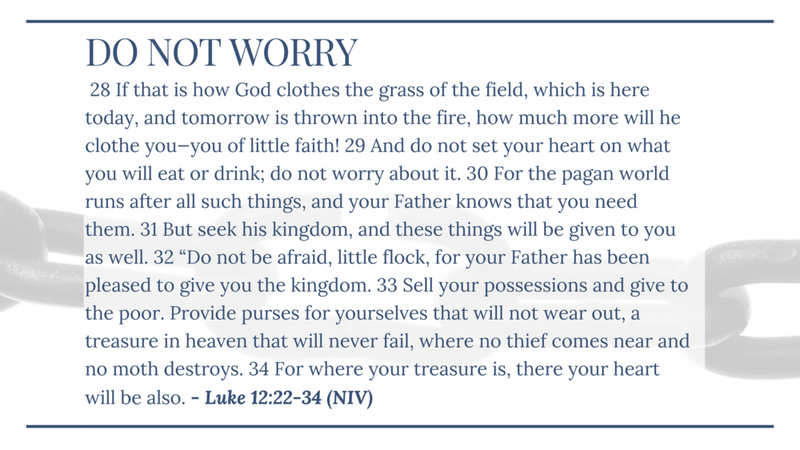 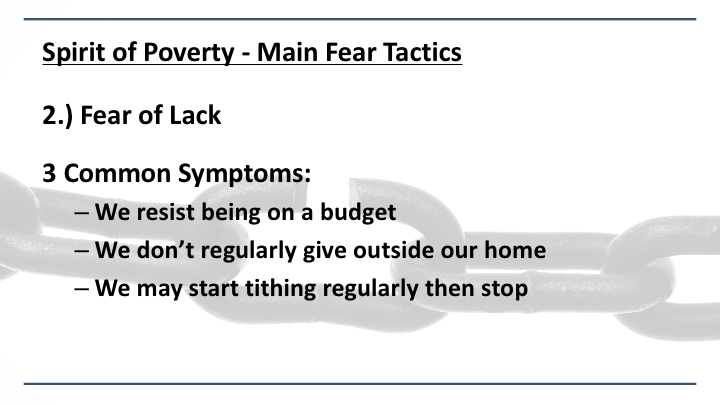 Pastor Jeff examines how the fear of wealth and the fear of lack produce a poverty mindset in our lives that keeps us from living generously. 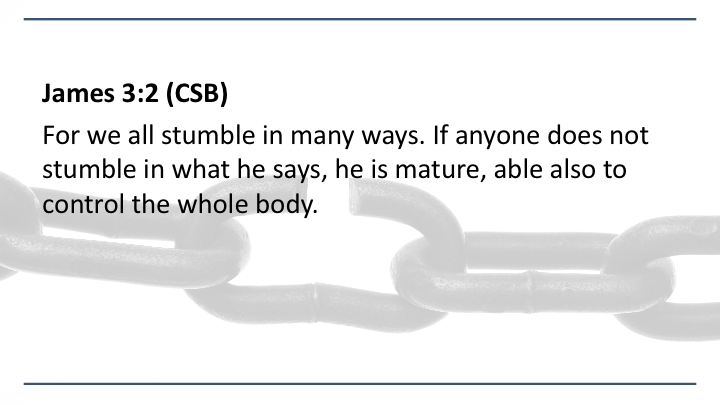 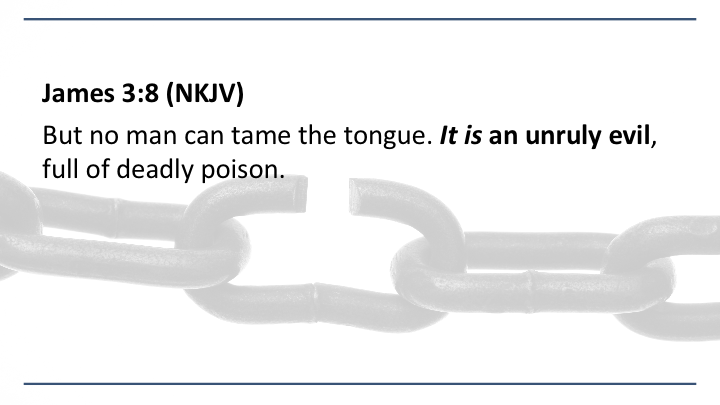 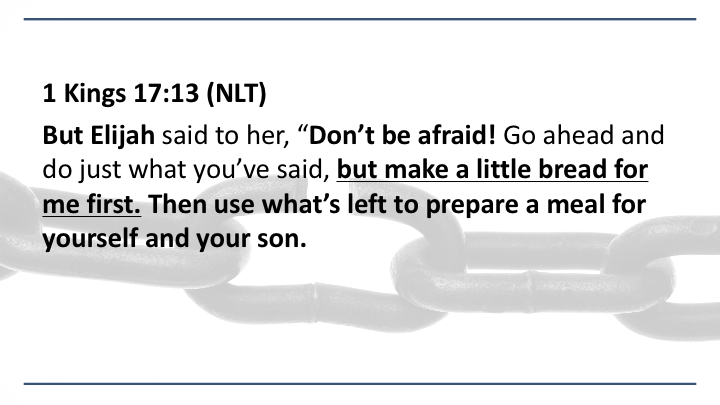 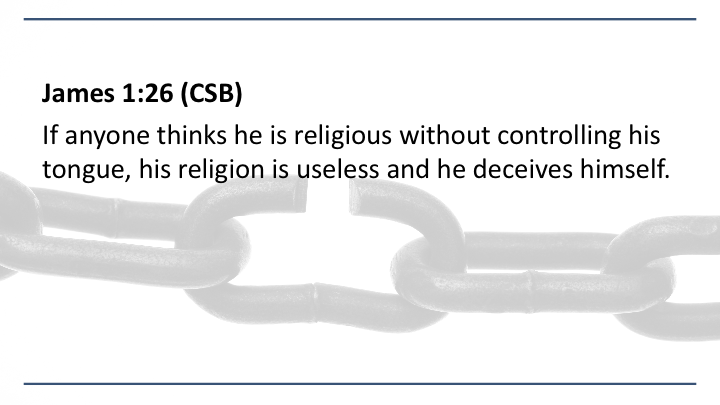 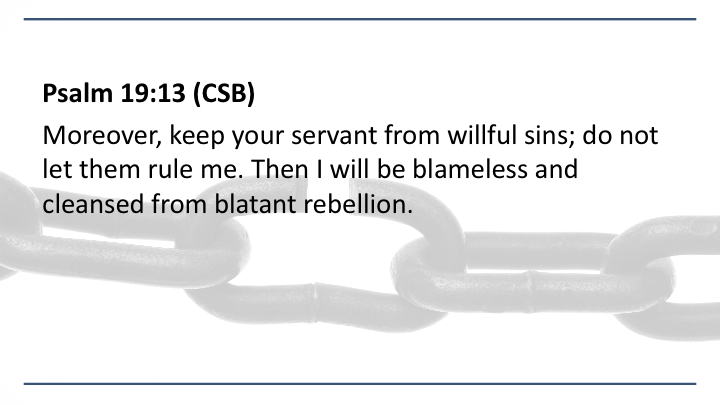 Pastor Cindy adds another installment to the breaking chains series as she tackles the taming of the tongue. 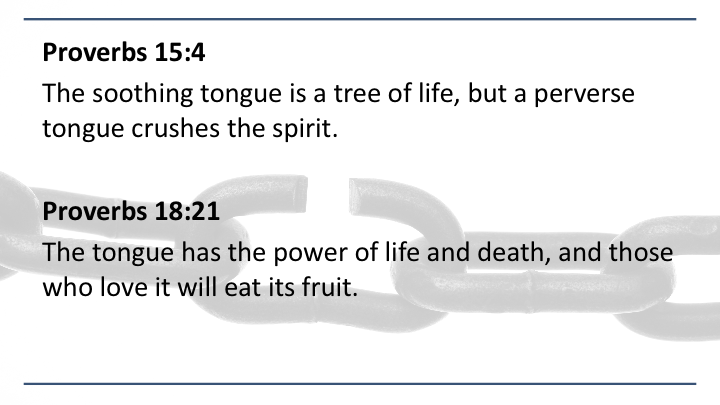 Listen along as she shares from the book of James on how the tongue holds the power of life and death. 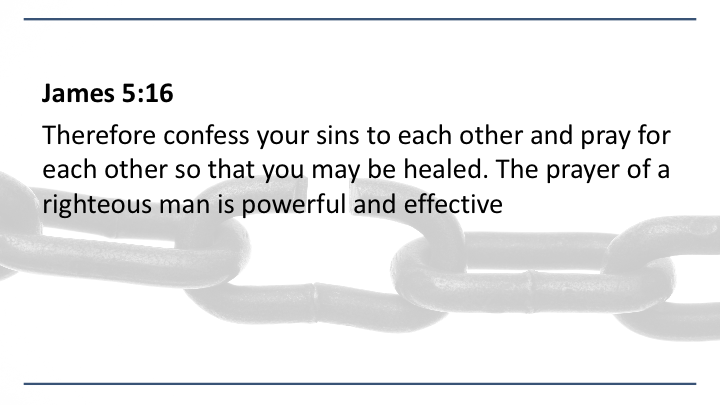 Learn how the first step in breaking the power of negative words spoken over you is repenting for the negative words that you've spoken over others. 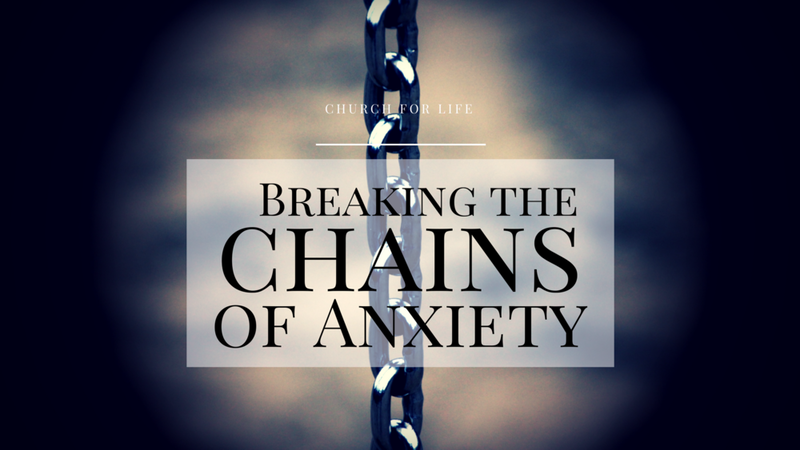 Pastor Chris continues the series on allowing God to break the chains that hold us back from fully living by examining how anxiety is our indicator that we need a deeper connection with God. 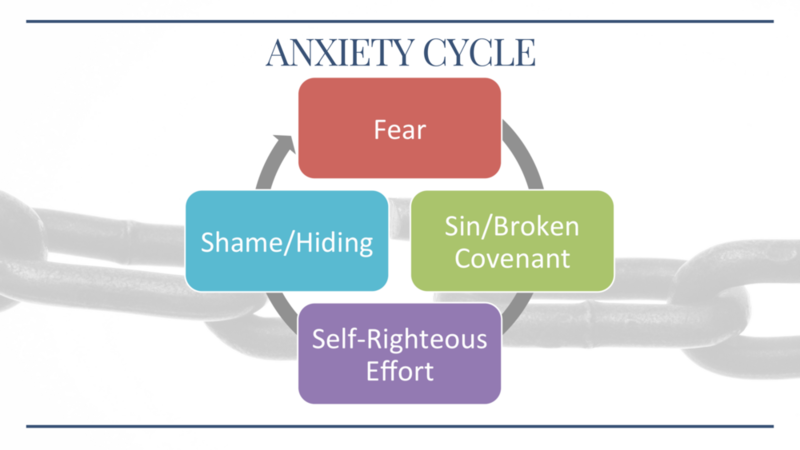 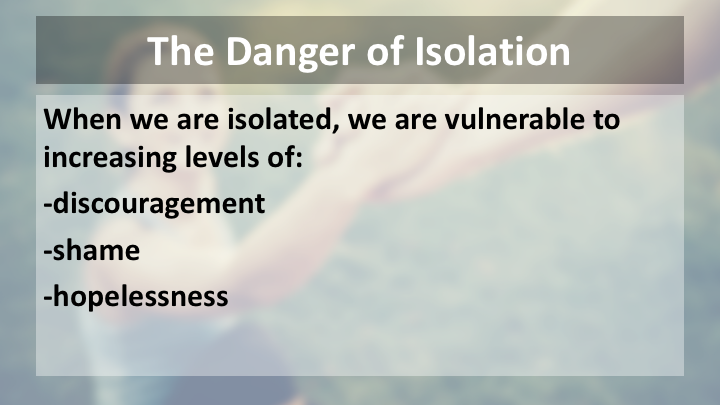 Hear about some of the cognitive distortions that lead to anxiety and learn how fear drives us into an anxiety cycle. 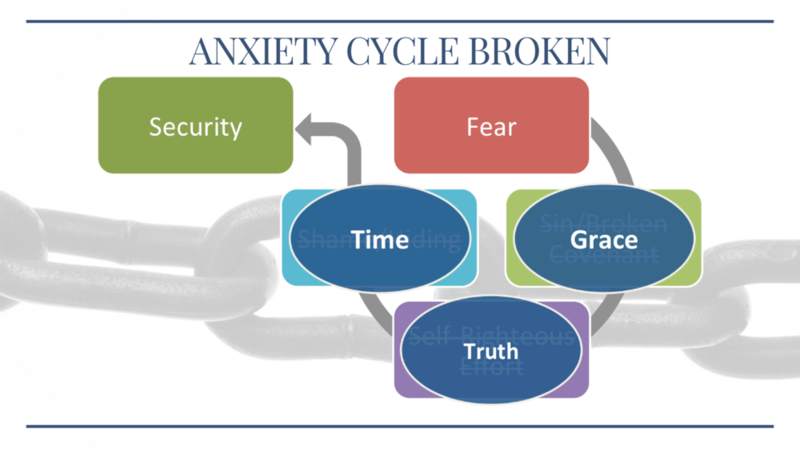 Finally learn about God's three ingredients for getting out of this cycle: Grace, Truth, and Time. 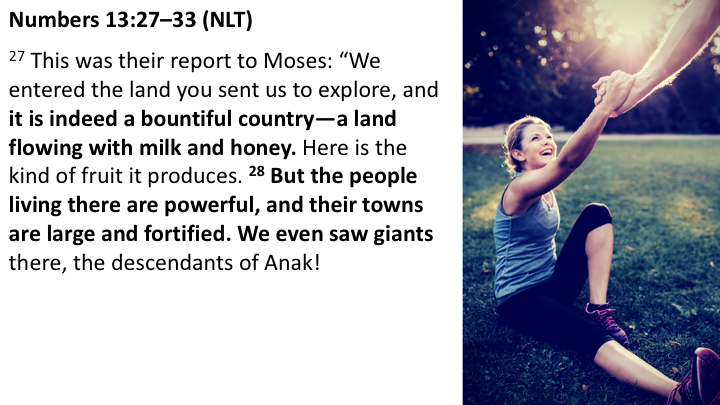 Allowing these three things to transform us is how God brings us into his shalom - the peace that surpasses understanding.